Commonly known as bag houses, fabric collectors use filtration to separate dust particulates from dusty gases. They are one of the most efficient and cost effective types of dust collectors available and can achieve a collection efficiency of more than 99% for very fine particulates. Dust-laden gases enter the bag house and pass through fabric bags that act as filters. The bags can be of woven or felted cotton, synthetic, or glass-fiber material in either a tube or envelope shape. Owing to perfection and quality oriented approach, we have carved niche in the industry by offering Bag Filter Tube Sheets. 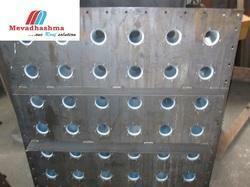 Provided filter tube sheet is offered in different specifications as per the requirements of clientele. This filter tube sheet is developed with the help of competent workforce using high quality raw material and leading technology. 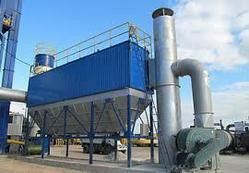 Offered filter tube sheet is high on demand among our patrons due to its indispensable features. To meet the diversified requirements of our prestigious clients, we are engaged in offering an excellent range of Dust Collector Filter Bags. 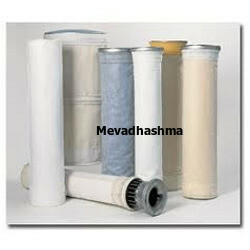 Provided filter bag is offered in different specifications as per the requirements of clientele. This filter bag is developed with the help of competent workforce using high quality raw material and leading technology. Offered filter bag is high on demand among our patrons due to its indispensable features. For the diverse requirements of our clients, we are engaged in manufacturing, exporting and supplying an exclusive array of Electrostatic Precipitator Dust Collector. The offered product is manufactured by using top grade raw material and the highly advanced technology. As well, our clients can avail this product from us in a set of specifications as per their needs. Our product is tested on various parameters so as to ensure its flawlessness.